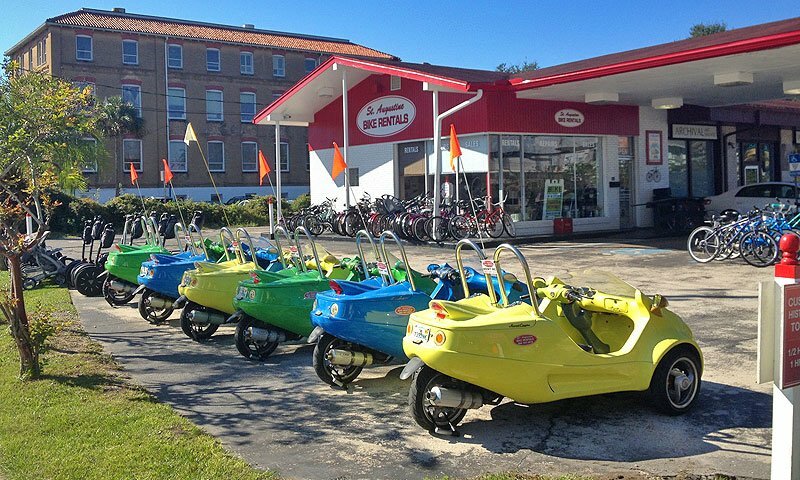 St. Augustine Bike Rentals offers guided tours on Segways, bikes and pedicabs in the historic district. 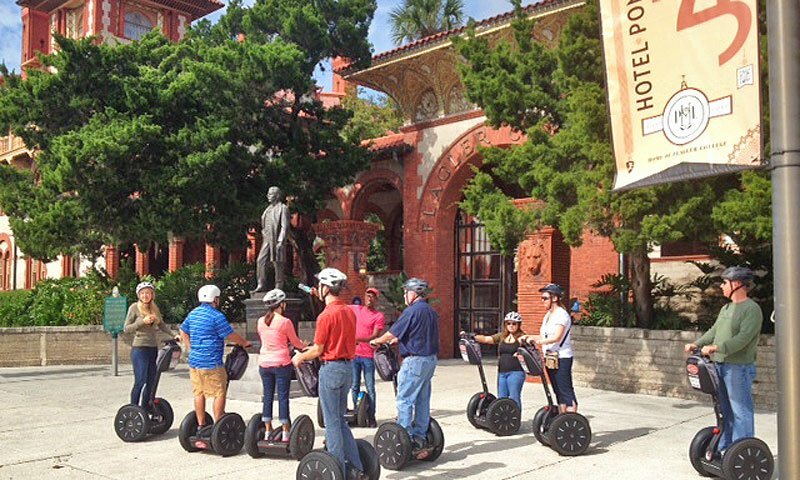 Visitors who prefer to explore the nation's oldest city on their own can choose to rent bikes and scooters for an alternative mode of transportation. The city is very bike-friendly with special lanes for bikes, slow traffic speeds in the downtown district, small side roads, and bike-friendly sidewalks, except St. George Street and other places where noted (Just make sure to you give pedestrians the right of way). 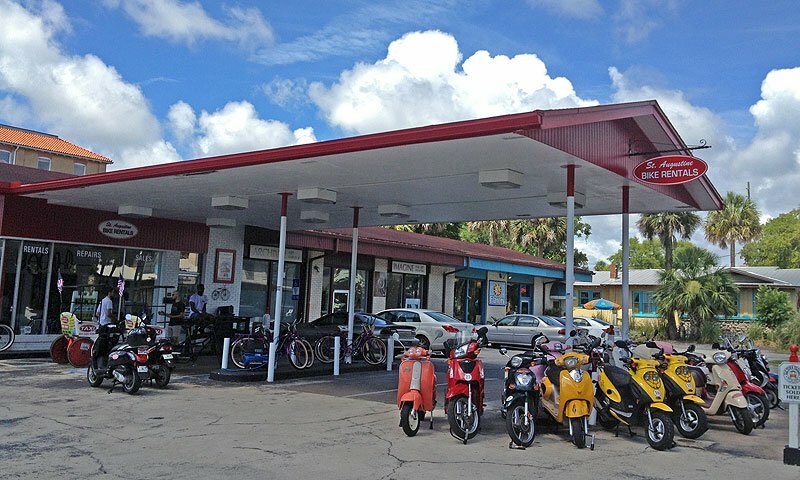 Rentals are offered hourly daily, weekly or monthly, and both men's and women's bikes are available, with child seats if desired. Bike seats are adjustable for a perfect fit for everyone. 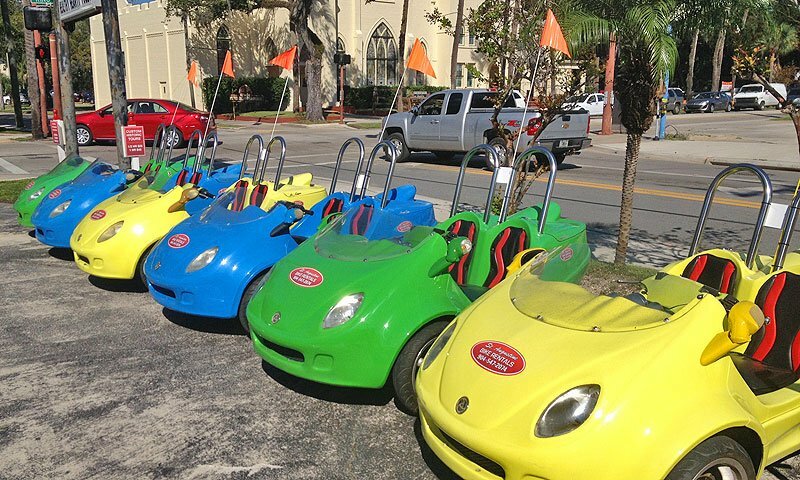 St. Augustine is ideal for biking, and the lack of hills and elevation changes makes it easy to relax and enjoy the ride. 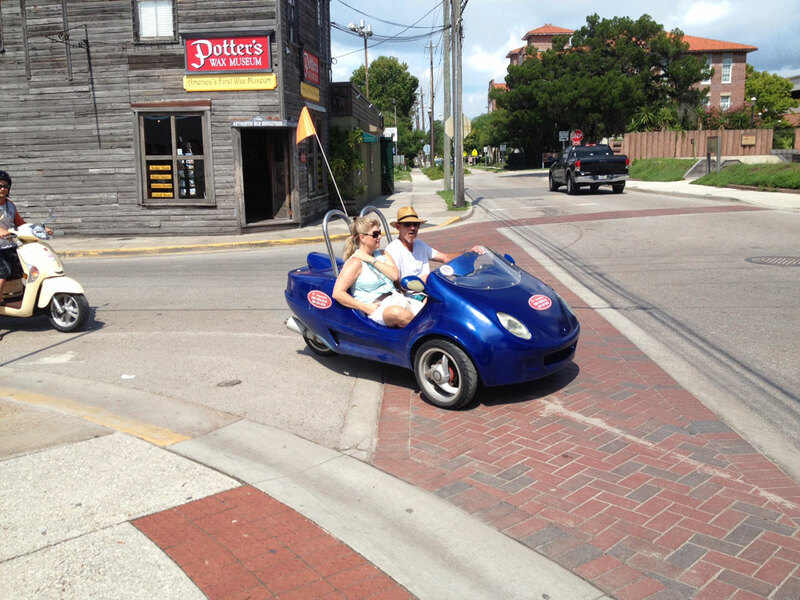 Vacationers can ride around on their own schedule and get a close-up look at all the attractions and historic sites without the hassle of finding and paying for a parking spot. 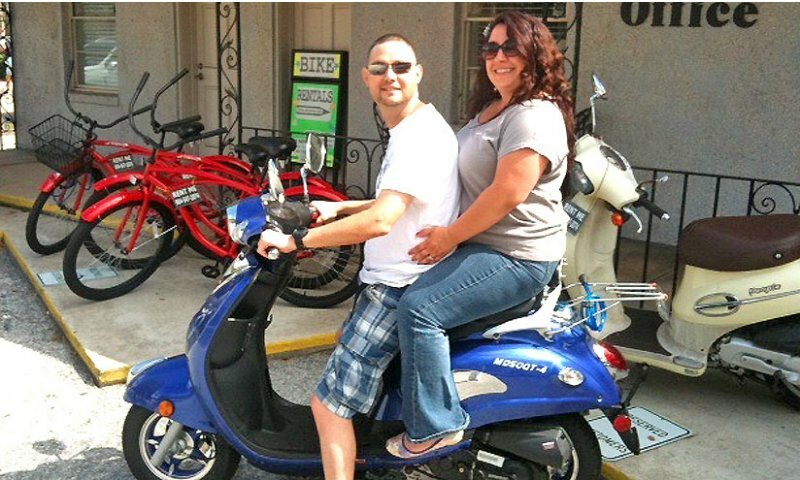 The staff at St. Augustine Bike Rentals are happy to help vacationers with information about the best things to do in St. Augustine. 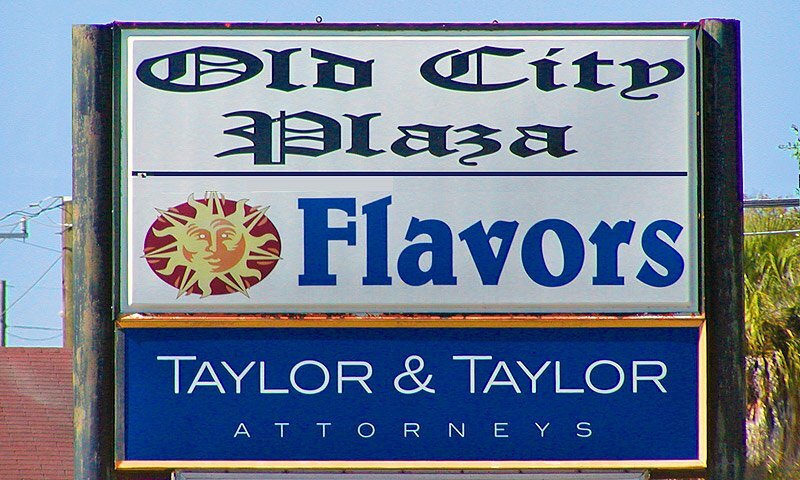 Their local expertise can be a big help to visitors in finding their way, planning a day of sightseeing, and even finding the perfect restaurant. 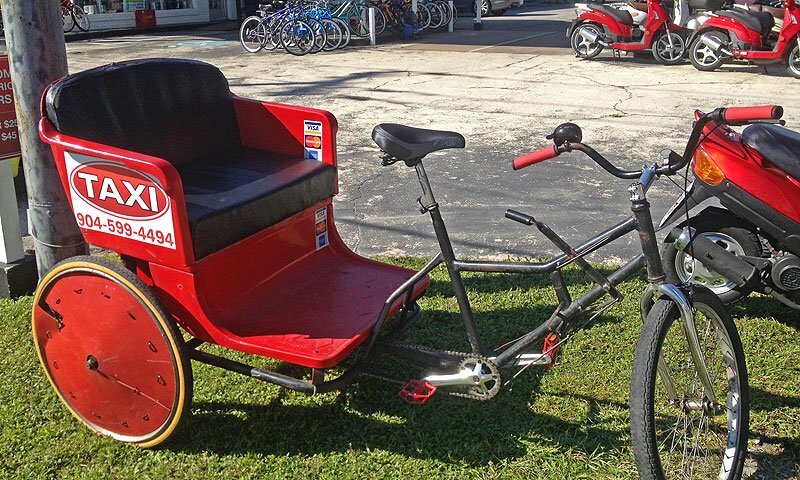 Be the first to Review St. Augustine Bike Rentals!